Harold Courtright had a life-long interest and career in mining and geology in the Cordillera of North and South America. His field mapping skills and exploration expertise led to the discovery of now well known porphyry copper deposits in Arizona and Peru. The scholarship fund, set up after his death in 1986, is designed to promote graduate research in the Cordillera and, while the Society may support exciting studies in any geologic discipline, we do place special emphasis on field geology, economic geology, and the study of ore deposits. Alexandra “Lexi” Wallenberg received a B.S. in Geology from Illinois State University in Normal, Illinois in the spring of 2018. In the summer following graduation, she completed a research internship at the U.S. Geological Survey in Denver. 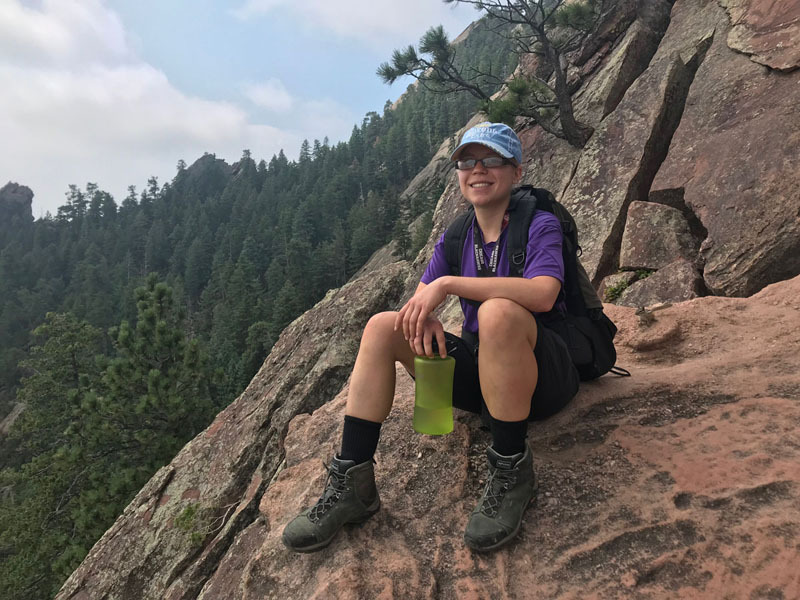 When she arrived in the Department of Geosciences at the University of Arizona in the fall, Lexi completed the 10-day Ore Deposit Mapping short course offered by the Lowell Program in Economic Geology and will participate in the 10-day December 2018 Short Course on Cu, Mo, and Au Porphyry Deposits. Currently in her first year at UA, she anticipates earning a Masters degree in Geology. Lexi’s thesis area is along the eastern flank of the Sonoma Range, approximately 30 km southeast of Winnemucca, Nevada, where she is studying Mo-Cu porphyry-style alteration and mineralization of the Cretaceous Gregg Canyon intrusive center (107 + 2 Ma K-Ar biotite). A 1:5000 scale geologic map of the area will be prepared using the Anaconda method with layers for rock type and structure and for alteration-mineralization. The focus of this study will be to determine the distribution and relative ages of the various igneous rocks and their relationship to the pre-ore faults and different veins and alteration. Her research advisor is Eric Seedorff.